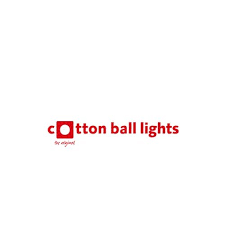 Find here Cotton ball lights coupons and deals. Do you know them already? Our string lights, pendant lamps and table/floor lamps are a real eyecatcher in your interior. Our Cotton Ball Lights can give your home the warm, cosy, yet stylish touch it deserves. We offer you over 60 differently coloured Cotton Balls to attach to your own String light. Our bigger Cotton Ball Lamps are available in 24 colours, in 5 different sizes. This means we can offer a colourful cotton-solution for your living room, bedroom, kitchen, office, kids room or special occasions. Valentines day 14% OFF sitewide!